Our key players often join project teams on major productions. We act as Executive Producers, Production Directors or Creative Directors. We charge a day rate or flat fee. 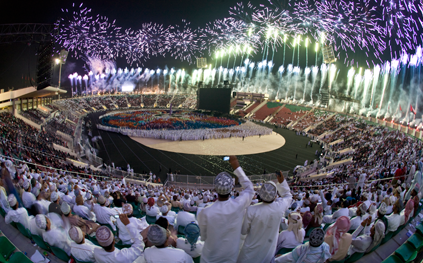 Role: John Farquhar-Smith and Lisle Turner of Flux acted as Production Director and Creative Director respectively on a show that involved a cast of 12,500 children, a crew of 800 and was broadcast live across the Arabian Gulf region. Production: John Farquhar-Smith led a production team that opened the world’s largest annual sporting event at the First Direct Arena in Leeds. 22 teams of TdF cyclists, an orchestra, a choir, three bands and a thousand performers from Yorkshire. 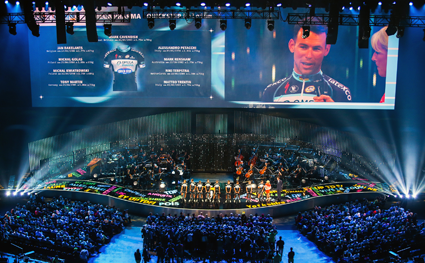 "The Best Team Presentation Grand Depart we’ve ever had."